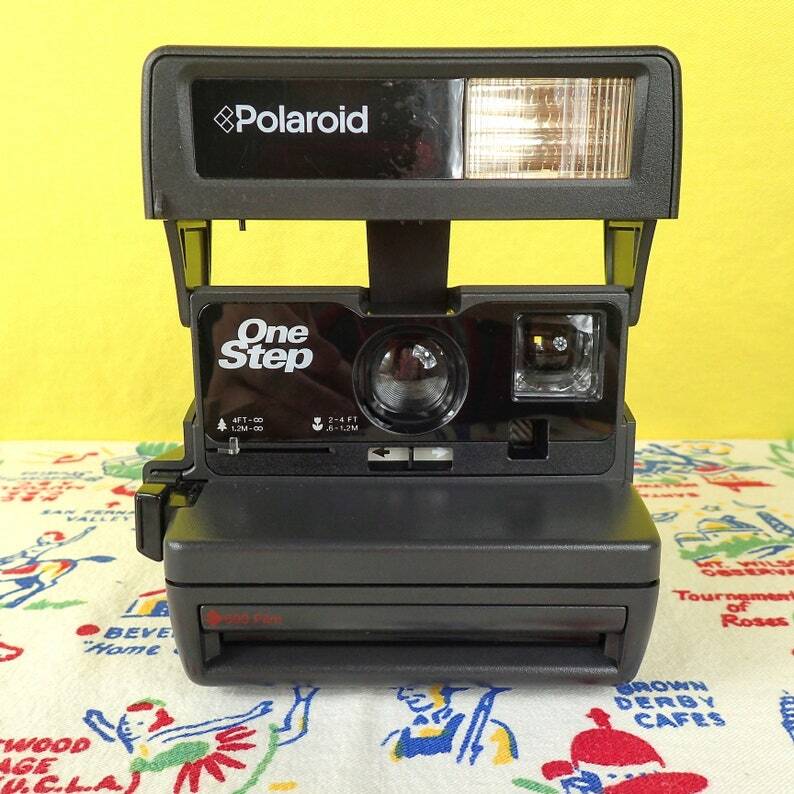 Introduced in the 1990s, this Polaroid OneStep is turned on by swinging the flash portion up to face forward. One light indicates the flash is ready. This camera also has a close up option that works great for selfies. This is a used camera with light wear on the body and still has the protective film on the nameplate on the flash head. I have tested and cleaned this camera and it works well; please see the test photo. When buying Polaroid film, be sure to buy the Polaroid 600 film and see my FAQ below. You can add a pack of fresh Polaroid film to this order for $18.